With only five weeks to go until the hills are alive with the sound of music, Snowbombing shouts its latest news from the mountaintops in Mayrhofen and announces three more additions to the line up along with more snowy shenanigans. Regarded as one of the founding fathers of dubstep, the definitive sound of Croydon, Benga returns to Snowbombing! 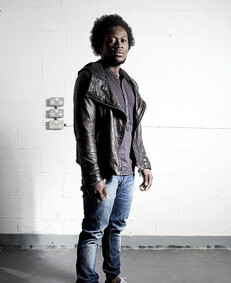 With credentials that spread back over nearly a decade, Benga is undoubtedly one of the biggest names in dubstep. Joining the dubstep pioneer is another great British DJ known for seriously mixing things up - Jaguar Skills is renowned for his off the wall, mish mash style of mixing and found his first break back in 2002 on Radio 1. With a heavy back catalogue of mix-tapes behind him Jaguar Skills packs his finest cuts and returns to Mayrhofen. Lastly, Neoteric, who’s had releases on Fatboy Slim’s imprint, Southern Fried Records and Diplo’s Mad Decent, joins the lineup. On the Thursday, the Board Park will host the legendary Good Times sound system with Captain Norman Jay MBE taking control of the Motorola Mountain Terrace. Four pro snowboarders will show off their skills on one of the best terrain parks in Europe to the sound track of some really exciting music. Radio 1’s MistaJam will be hosting and spinning for survival in the first ever Disco Battle Royale with special guests Skream, Artwork and Jackmaster. Metro Presents The Fatboy Slim Street Party is another top party as procession leader Fatboy Slim will be hosting this “Block-Rockin” with some very special guests -Krafty Kuts will be carving through some serious beats along with Doorly and The Cuban Brothers!